Rockledge, FL (June 14, 2017) -Always exploring new applications for their innovative EVA non-skid products, SeaDek is excited to be a supplier for NASA's recently unveiled Mars Rover concept vehicle. 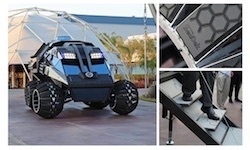 Designed and built by Parker Brothers Concepts - best known for their futuristic concept vehicles such as the Tron Bike from 'Tron: Legacy' and the Batmobile from 'The Dark Knight' -- the rover is sleek and rugged, designed to tackle the harsh terrain of the martian environment. At 28 feet long, 14 feet wide, and 11 feet tall, the Mars Rover features six off road air-less wheels with SeaDek nonskid on the spokes, as well as a laboratory in the rear of the vehicle to conduct research and experiments. SeaDek was utilized throughout the interior of the rover, providing traction in what would likely be hazardous conditions, as well as padding to protect astronauts inside the vehicle during turbulent passages. While the concept vehicle won't be making a trip to the red planet, it will be touring the East Coast as part of NASA's "Summer of Mars" campaign. After its recent unveiling at the Kennedy Space Center Visitor's Complex, the rover currently resides on display before the tour. Visit www.kennedyspacecenter.com to learn more about the exhibit. 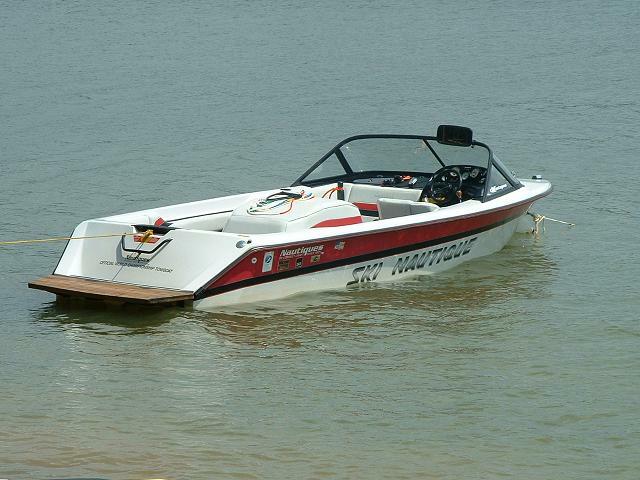 SeaDek manufactures a wide range of EVA non-skid products for OEM boat builders, aftermarket customers, and dealers. In addition to custom products, SeaDek offers an extensive line of retail items, including DIY sheet material, anti-fatigue helm station pads, coaming bolsters, and more. As a safe and comfortable alternative to molded-in non-skid, paint-on textures and other marine traction products currently available, SeaDek provides exceptional traction and aesthetically pleasing stylistic options. Made in the USA from UV protected non-absorbent EVA foam, SeaDek utilizes an acrylic-based 3M™ pressure sensitive adhesive for a lasting bond and simple peel-and-stick application. In 2014, SeaDek became an employee owned company with the implementation of an ESOP profit sharing plan. With a wide array of colors, textures, and thicknesses available, there is a place for SeaDek on every boat. Learn more at www.seadek.com.